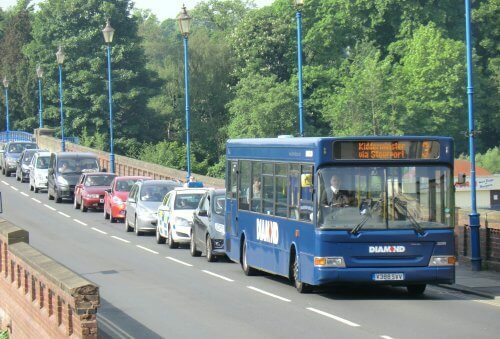 West Midlands bus operator, Diamond Bus, has agreed to compensate its passengers for punctuality failings, following a decision by the region’s Traffic Commissioner (TC) Nick Denton. The operator will provide free travel for seven days in May on its number three service, which runs from Kidderminster to Areley Kings, commencing Monday 13. The TC instructing the operator to compensate passengers after he imposed a £9,075 penalty on the company last year. The operator initially challenged this decision, however the appeal was dismissed by the Upper Tribunal last month. The Commissioner said a date set in the future allows passengers who use monthly passes to change to weekly and take advantage of the free travel.